Fine dining or a quick bite. El Cajon has it all. From five-star cuisine to casual comfort food, and everything in between, El Cajon is home to some of California’s best restaurants. In addition to creative culinary treats, El Cajon boasts a growing number of local craft breweries and independent wineries. Here is the list of the top eateries around Vacationer RV Park. 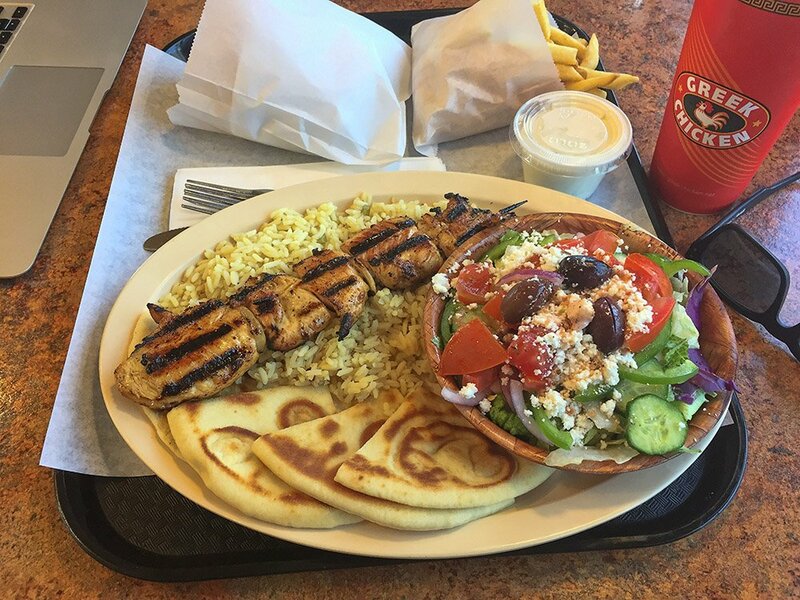 Greek Style Chicken on Main St. is a staff favorite. They offer Greek specialties along with a variety of other dishes. The chicken Kebab plate is the best choice. You get a Greek salad, pita bread, rice and a chicken kebab. Be sure to visit them while you stay.